The Cute Potato kids are growing up fast, and with each passing year, MP finds it more challenging to find a toy or game they’ll use again and again. For ideas, MP enlisted the help of toy expert Anita Demetropoulos, the owner of Island Treasure Toys. Her toy store, which began as a home business in 2001, has expanded to three locations over the years. Anita’s warm and welcoming shops in Yarmouth, Freeport, and Bath are favorites among parents for quality toys and games. With nearly 16 years of experience, Anita has valuable advice to offer when it comes to gift-giving. CP#1’s Girl Scout troop is working towards their commerce badge. To make it fun, the troop leaders organized a trip to Wilbur’s Chocolates in Freeport, where the girls would spend the afternoon learning about chocolate and how it’s made. MP, who is never one to turn down an opportunity for chocolate samples, decided to tag along. Wilbur’s, which is located in an orange farmhouse on Route 1 called “The Pumpkin House,” has been in business since 1983. According to our tour guide, Tom and Catherine Wilbur started out with a retail store. Soon after, Tom began experimenting with chocolate making. The pair eventually made the decision to make and sell their own confections. The first chocolate Tom Wilbur developed is the iconic Wilbur’s moose, which is still sold at their shops today. Our patient tour guide for the afternoon. On this sunny March Friday, with the promise of warmer days ahead, it’s nice to recall last summer. A highlight of our August was filming a short piece as Maine Insiders for the Maine Department of Tourism. The two-day shoot took us from Wolfe’s Neck Woods State Park in Freeport to Popham Beach and all of our favorite places in between. 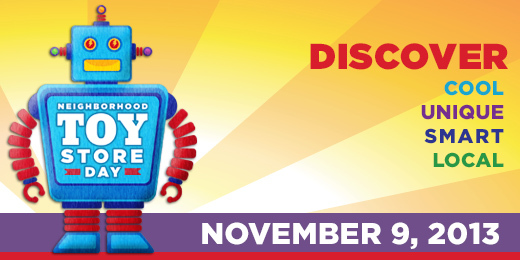 What’s not to love about a day devoted to local toy stores? One of our favorite shops, Rainbow Toys in Falmouth, is hosting a daylong event this Saturday to celebrate! The lovely staff promises all kinds of free fun for kids. There will be arts and crafts, face painting, and a giant outdoor game of chess. The store is also raffling off a Rainbow Loom and bands (which are popular in the CP household these days), a Star Wars Lego set, books, stuffed animals, and craft kits from Alex Toys. 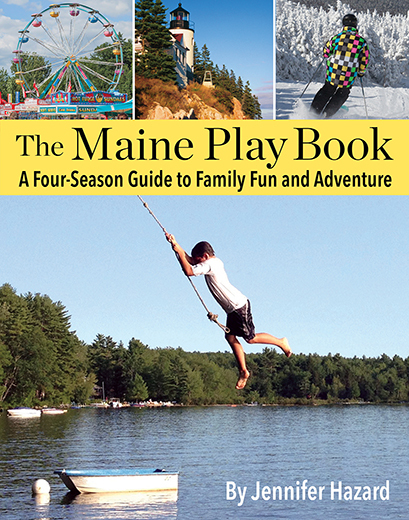 If you’re not near to Rainbow Toys, there are many independent toy shops throughout Maine: Island Treasure Toys, Planet Toys, Stone Soup, Out on a Whimsey, Percy’s Burrow, Bella Luna Toys, Treehouse Toys, and more. To find a toy store near your town, try this handy link. FMI on the National Toy Store event at Rainbow Toys, visit their Facebook page. 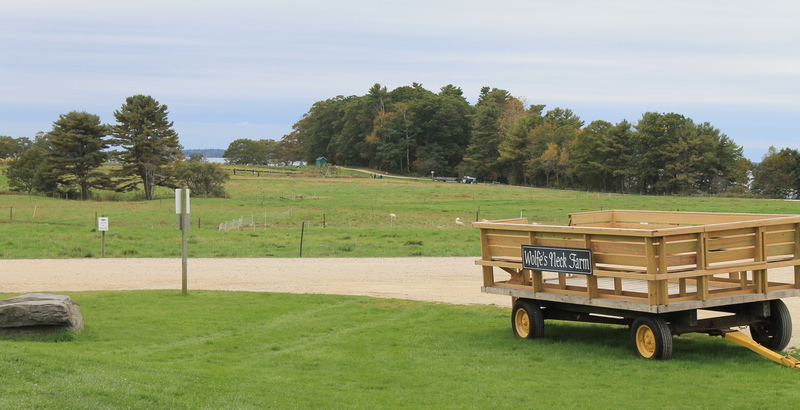 Wolfe’s Neck Farm, a 626-acre, educational farm set on the Casco Bay, is one of our favorite places to visit any time of year, but in the fall, the golden fields and changing trees make for a stunning setting. 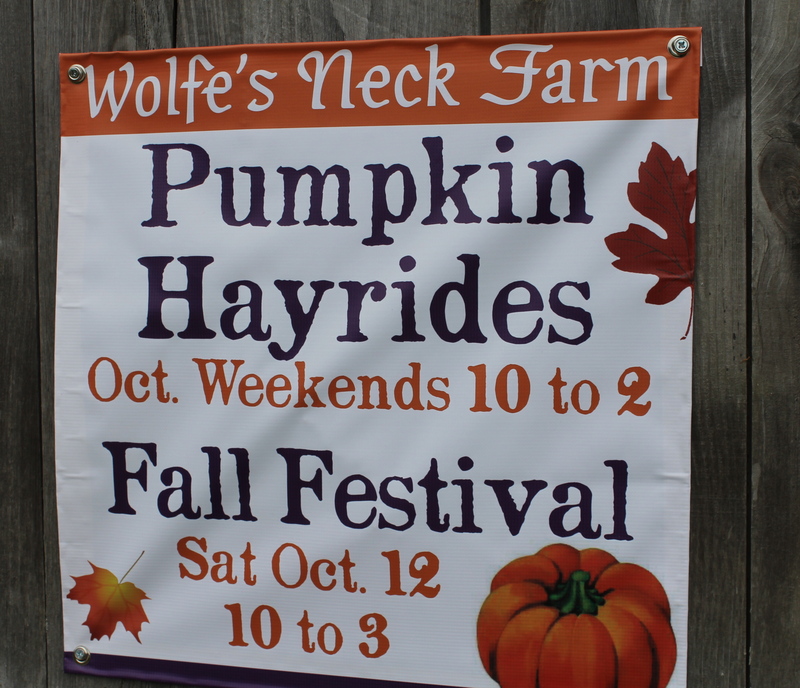 We visited for a Pumpkin Hayride, and despite a cloudy Sunday, our team had a blast. At the farmers’ market last summer, MP discovered yogurt from Winter Hill Farm in Freeport. The creamy, whole milk yogurt was better than anything MP had ever tasted at the store, and before long, it became a family breakfast staple. MP considered making her own, but she worried the process would be too fussy. Plus, it was so easy to pick up a new jar at the market! Little did she know, a Facebook post linking to a recipe for Crock Pot Greek Yogurt would change her mind. The recipe seemed so straightforward and simple, MP thought, why not give yogurt making a try? In late January, the Cute Potato team visited the L.L.Bean Winter Carnival in Freeport. The outdoor carnival is an impressive event, where families get to try snowshoeing, ice fishing, cross country skiing, and more snowy day activities for free! The CP kids had a blast trying all of the activities, but their favorite by far was snow tubing down an expansive hill, again and again. It’s undeniable—L.L.Bean makes a super cool snow tube. And guess what? 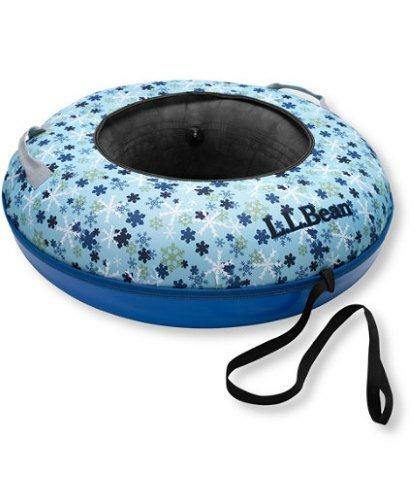 Today, you could win an L.L.Bean Sonic Snow Tube (regularly valued at $109) for your family!